The past few nights the full moon rising over Tracy has been spectacular and I couldn’t resist it any longer. I put the 300mm f.4 lens with a 1.4 extender on my 5D MkIII to see what kind of view I could get of this celestial sight. 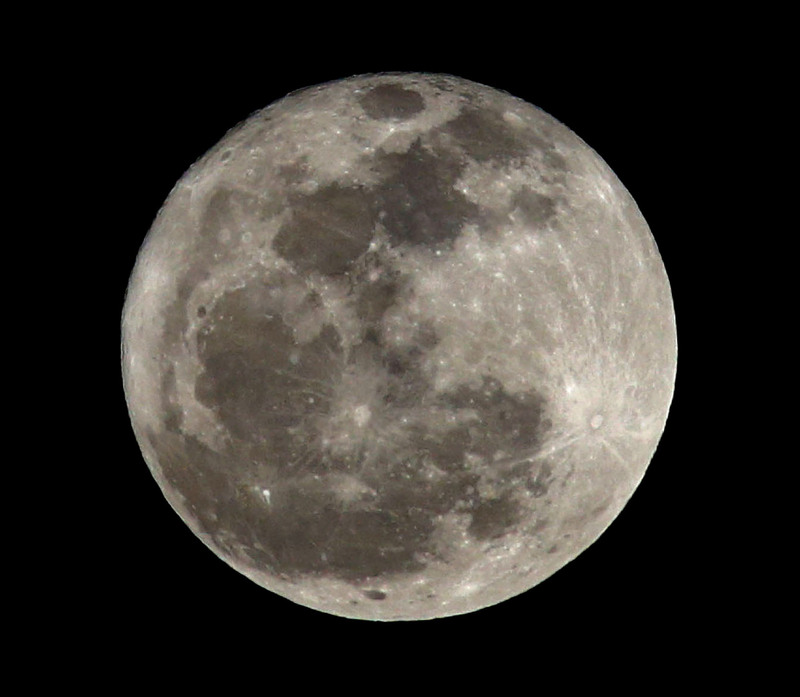 Shooting the moon isn’t that hard, you treat it like any other front lit subject you might encounter behind the lens. My manual exposure was 1/500 of a sec at f.10 with a ISO setting of 800. I darkened the shadows and brightened the highlights a touch in Photoshop as straight from the camera the image looked a little flat. But overall a nice shot with plenty of detail of craters and shadows. I will be pointing my camera into the night sky later this month as the comet Pan-STARRS named after the telescope that discovered it in June 2011 will become visible in the northern hemisphere beginning March 7. Some tips for viewing the comet can be found here. This won’t be my first comet hunting experience. 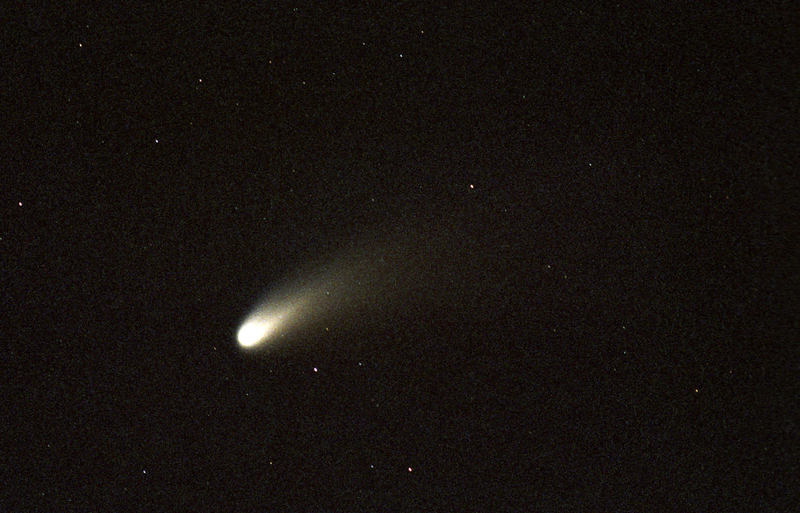 About 14 years ago armed with a Nikon F4 and several roll of Kodacolor print film I managed to capture the appearance of comet Hale-Bop over Tracy. I did most of the photography with the camera mounted on tripod in my parent’s backyard as I photographed the comet’s path through the night sky. It took many rolls of film and trial and error exposures to come up the result below. Pan-STARRS will be easier to capture as the digital camera will allow me to check my exposures and focus much more easily than my first comet attempt. Stay tuned later in the month for pictures of my encounter with the comet.